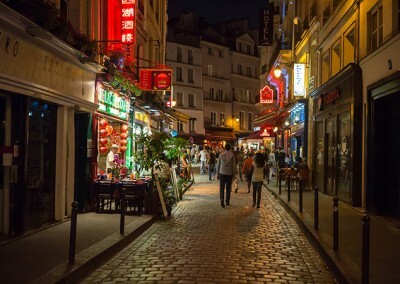 What Makes Paris, France Interesting? 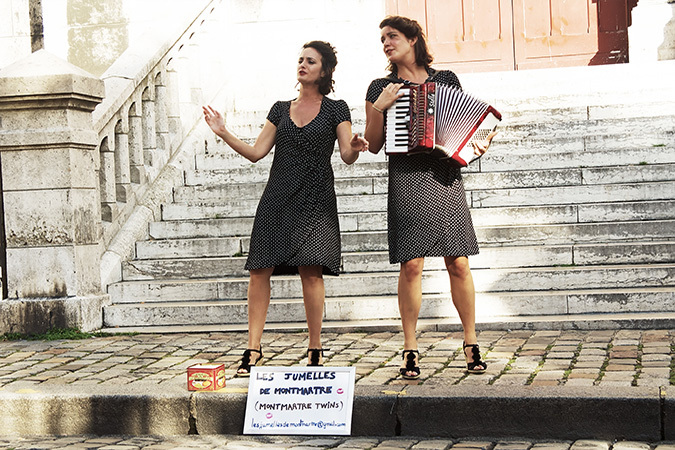 Paris is unquestionably one of the top cultural centers of the world. The city claims the highest proportion of highly educated people. 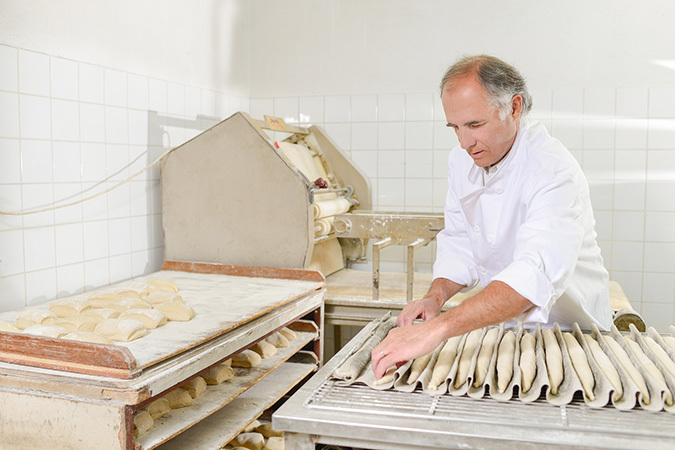 40% of Parisians hold a licence-level diploma or higher (2009). Only 13% lack a diploma. Following the motto “Only Paris is worthy of Rome; only Rome is worthy of Paris,” the only sister city of Paris is Rome. 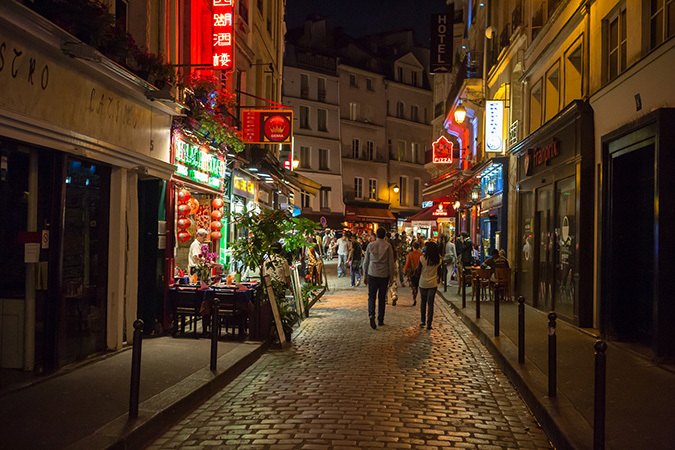 Modern Paris’ urbanism laws have been under strict control since the early 17th century. 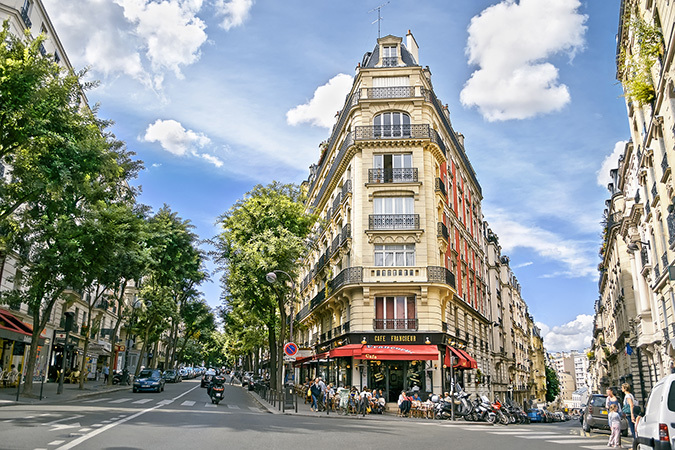 This includes its aligned street-fronts, distinctive cream-grey “Paris stone” building ornamentation, aligned top-floor balconies, and tree-lined boulevards. 62% of its buildings date from 1949 and before, 20% were built between 1949 and 1974, and only 18% were built after that date. The high residential population of its city centre makes it much different from most other western global cities. 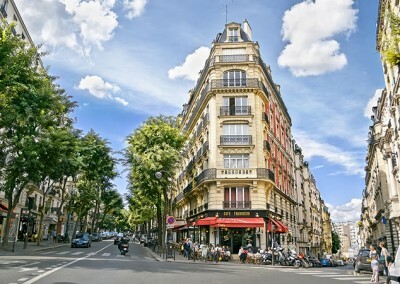 Paris is the fifth most expensive city in the world for luxury housing: €18,499 per square metre (€1,720/sq ft) in 2014. Two-thirds of the city’s 1.3 million residences are studio and two-room apartments. 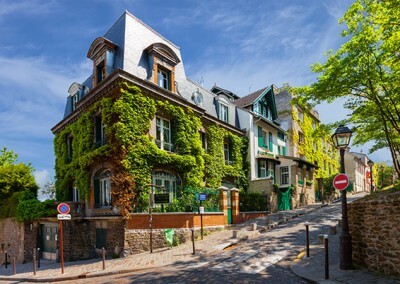 Only 33% of principal-residence Parisians own their habitation. The majority of the city’s population is rent-paying. For nearly all of its long history, except for a few brief periods, Paris was governed directly by representatives of the king, emperor, or president of France. 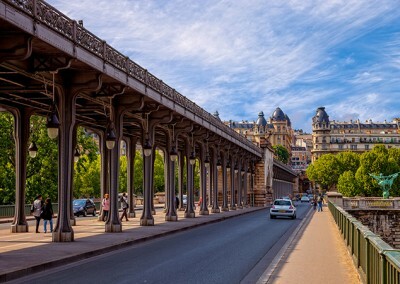 Most French rulers since the Middle Ages have left their mark on a city that, contrary to many other of the world’s capitals, has never been destroyed by catastrophe or war. Paris is the capital of France and the seat of her national government. 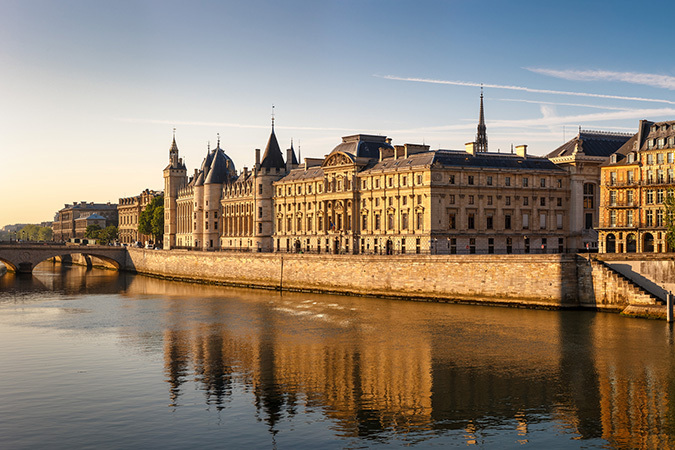 France’s highest courts are located in the city. The Constitutional Council, an advisory body with ultimate authority on the constitutionality of laws and government decrees, meets in the city’s Palais Royal. The city and its surrounding region host the headquarters of several international organizations. These include UNESCO, the Organization for Economic Co-operation and Development (OECD), the International Chamber of Commerce, the European Space Agency, the International Energy Agency, the European Union Institute for Security Studies, the International Bureau of Weights and Measures, the International Exhibition Bureau, and the International Federation for Human Rights. 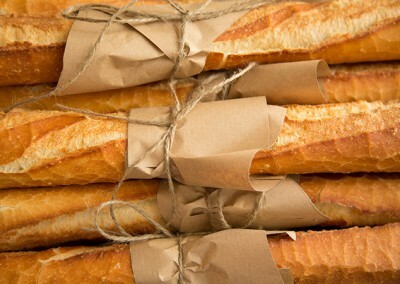 The Celtic people gave the city its name, Parisii. 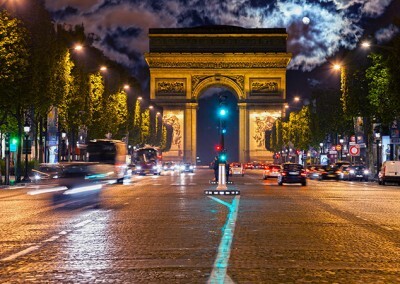 It is often referred to as “The City of Light” (La Ville Lumière). This is due to two factors — its leading role in the Age of Enlightenment and being one of the first European cities to adopt gas street lighting. 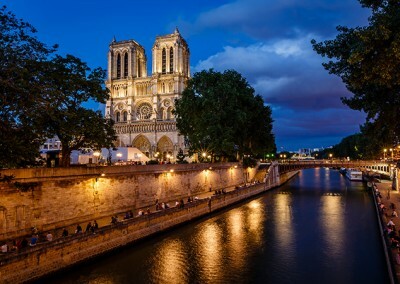 In the 1860s, Paris was illuminated by 56,000 gas lamps. 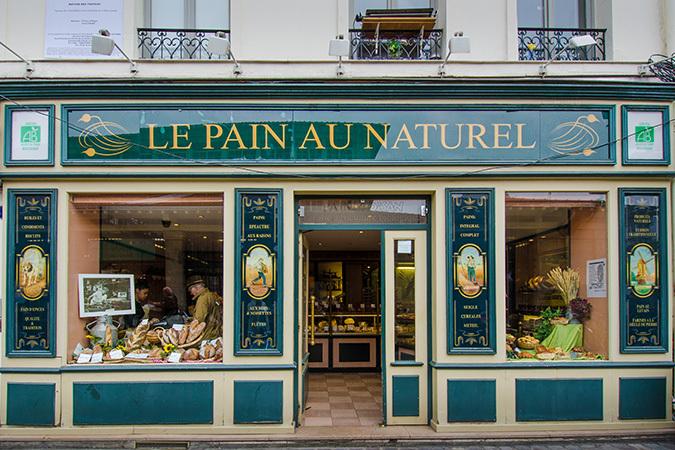 Since the late 19th century, Paris has also been known as Panam(e), pronounced panam in French slang. 3rd century BC — the Parisii, a sub-tribe of the Celtic Senones, inhabited the area. 52 BC — the Romans conquered the Paris basin. 3rd century AD — Christianity was introduced in the city by Saint Denis, the first Bishop of Paris. 508 — Clovis the Frank, the first king of the Merovingian dynasty, made the city his capital. 845 — the Vikings sacked the city. 987 — Hugh Capet, Count of Paris and Duke of the Franks was elected King of the Franks. 1163 — construction began on the Notre Dame Cathedral. 1190 — construction began on the Louvre. 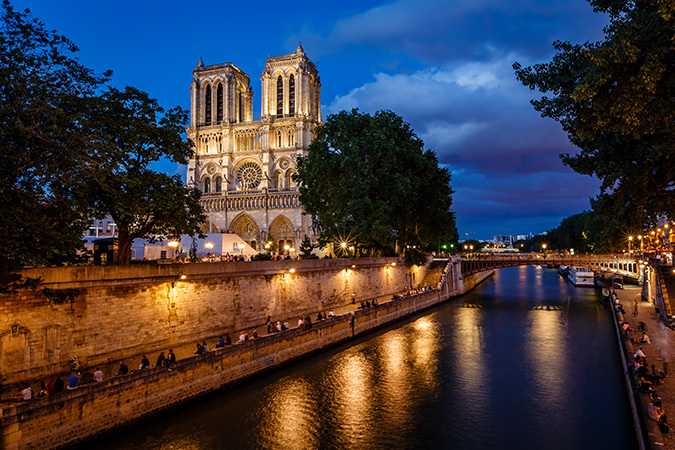 End of the 12th century — the city had become the political, economic, religious, and cultural capital of France. 1420 — the Duke of Burgundy and a force of about two hundred English soldiers occupied the city. 1429 — Joan of Arc was repelled in her attempt to liberate the city. 1572 — thousands of French Protestants are killed in the St. Bartholomew’s Day massacre. 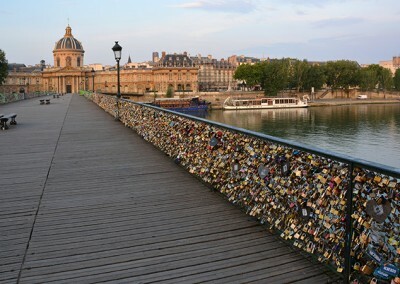 17th century — Cardinal Richelieu was determined to make Paris the most beautiful city in Europe. Between 1640 and 1789 — the population grew from 400,000 to 600,000. Between 1715 and 1789 — Paris was the centre of the Age of Enlightenment. 1783 — the Montgolfier Brothers launched the first manned flight in a hot-air balloon. 1789 — a mob stormed the Bastille at the height of the French Revolution. 1793 — the king, queen, and the mayor were guillotined. 1799 — Napoléon Bonaparte seized power as First Consul. 1830 — the July Revolution brought a constitutional monarch, Louis Philippe I, to power. 1837 — the first railway to the city is opened. 1848 — Louis-Philippe was overthrown by a popular uprising in the streets of the city. 1860 — Napoleon III annexed surrounding towns and expanded the city to its current limits. 1871 — the city as forced to surrender to the Prussian army during the Franco-Prussian War. 1889 — the Universal Exposition was held to mark the centennial of the French Revolution. End of the 19th Century — the population of the city reached 2,715,000. 1914-18 — the city is bombed by Zeppelins and shelled by German long-range guns. 1944 — the city was liberated by the French 2nd Armoured Division and the U.S. Army’s 4th Infantry Division. 1950s and the 1960s — the city became one front of the Algerian War for independence. 1968 — protesting students occupied the Sorbonne and put up barricades in the Latin Quarter. 1969 — construction began on the Tour Maine Montparnasse (the tallest building in the city at 57 storeys and 210 m.
1977 — Jacques Chirac became the first elected mayor of the city since 1793. 1986 — construction began on the Musée d’Orsay. 2007 — President Nicolas Sarkozy launched the Grand Paris project to better integrate the city and its suburbs. January 2015 — two French Muslim extremists attacked the headquarters of Charlie Hebdo and killed 13 people. November 2015 — coordinated terrorist attacks were claimed by the ‘Islamic state’ organisation ISIL (‘Daesh’, ISIS). 2016 — the Metropolis of Grand Paris, with a population of 6.7 million, is scheduled for creation. 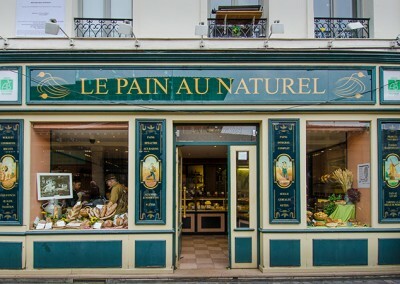 Paris has a typical Western European oceanic climate, characterized as mild and moderately wet. Summer days are usually warm and pleasant with average temperatures hovering between 15 and 25 °C (59 and 77 °F). There are generally a few days during the year when the temperature rises above 32 °C (90 °F). Sunshine is scarce in winter. Days are cold but generally above freezing. The temperatures averages 7 °C (45 °F). Light frosts are common at night. Snow falls, but rarely sticks on the ground. The city’s economy is based largely on services and commerce. There are 390,480 enterprises, with 80.6% engaged in commerce, transportation, and diverse services; 6.5% in construction; and just 3.8% in industry. 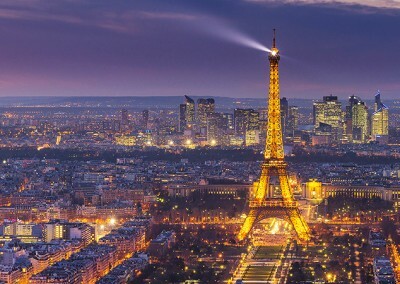 The top ten French companies (2015 Fortune Global 500) have their headquarters in the Paris Region. Five are in the city. Its GDP (€624 billion, or US$687 billion) ranks second among the regions of Europe. Its per capita GDP is the 4th highest in Europe (2011). The region does engage in high-tech manufacturing: electronics, optics, and aerospace. 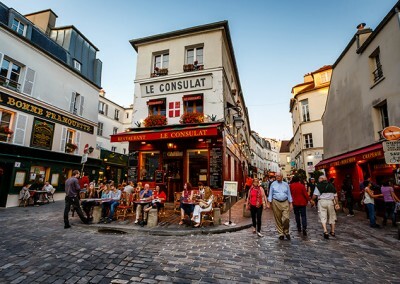 Paris (the city plus surrounding departments) receives 22.4 million visitors (2014 figures), making it one of the world’s top tourist destinations. 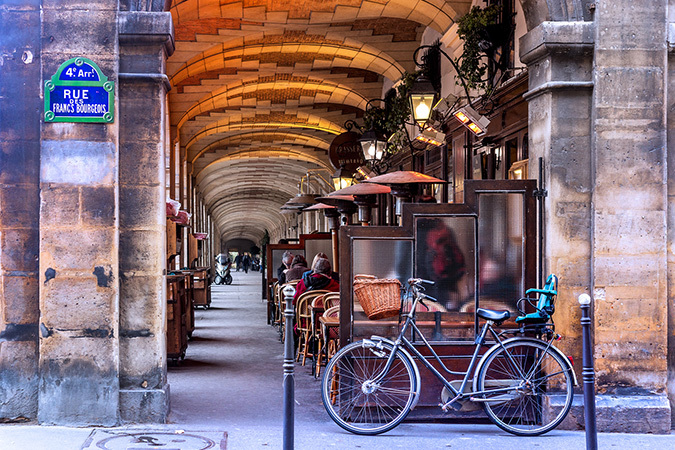 Paris attracts artists from around the world, who arrive to educate themselves and to seek inspiration from its vast resources and galleries. 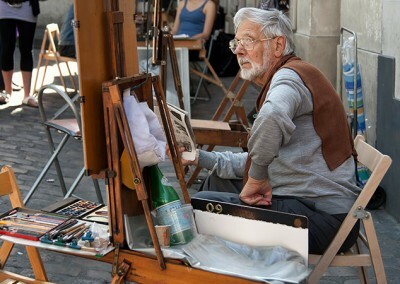 As a result, the city has gain a reputation as the “City of Art.” Its artistic prime came in the 19th century and early 20th century. 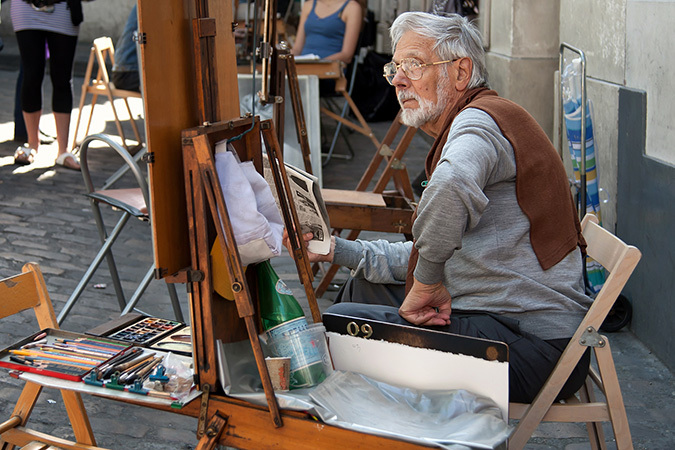 Artists established in the city and in art schools mingled with some of the finest painters: Manet, Monet, Berthe Morisot, Gauguin, Renoir, and others. Prestigious French and foreign sculptors who made their reputation in Paris in the modern era include Frédéric Auguste Bartholdi (Statue of Liberty), Auguste Rodin, Camille Claudel, Antoine Bourdelle, Paul Landowski (statue of Christ the Redeemer in Rio de Janeiro) and Aristide Maillol. Inventor Nicéphore Niépce produced the first permanent photograph on a polished pewter plate here in 1825. He developed the process with Louis Daguerre. 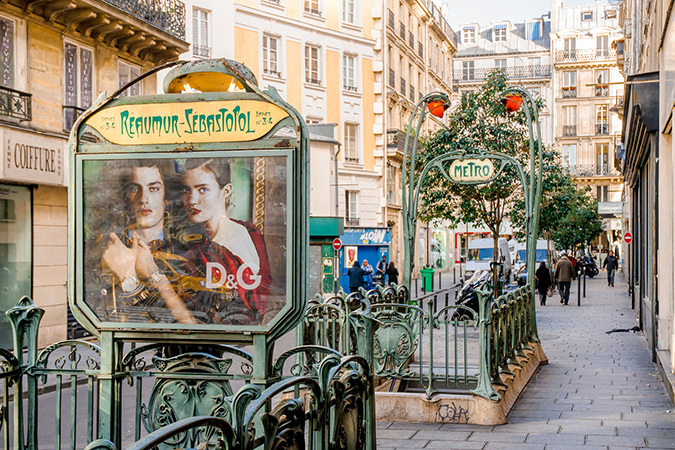 Paris has been an international capital of high fashion since the 19th century. 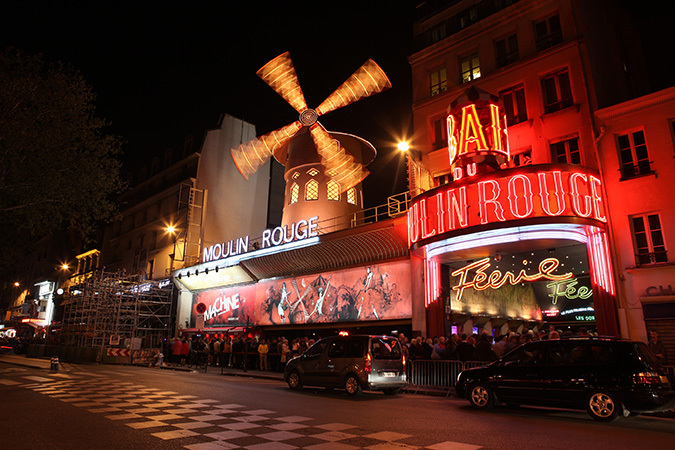 It is home to two of the largest fashion houses (Dior and Chanel) and many well-known fashion designers (Karl Lagerfeld, Jean-Paul Gaultier, Christophe Josse, and Christian Lacroix). Paris Fashion Week (held January and July) is among the top four events of the international fashion calendar (the others being fashion weeks in Milan, London and New York). The Louvre is the world’s most visited art museum (9.3 million visitors, 2014). Treasures include the Mona Lisa by Leonardo da Vinci and the Venus de Milo statue. 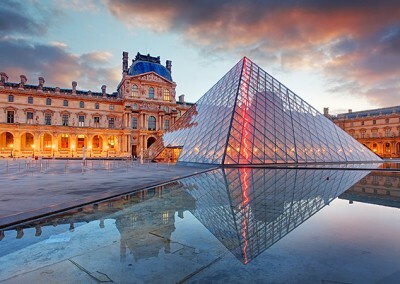 Other well-attended art museums include the Centre Georges Pompidou, the Musée d’Orsay, and the Musée du quai Branly. 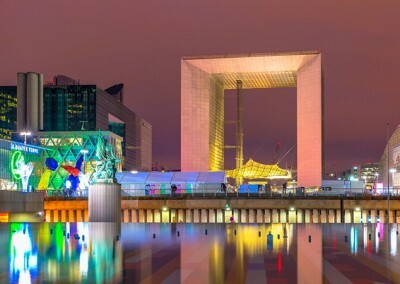 Paris hosts two of the largest science museums in Europe, the Cité des Sciences et de l’Industrie at La Villette and The National Museum of Natural History (on the Left Bank). The largest opera houses are the Opéra Garnier (historical Paris Opéra) and modern Opéra Bastille. 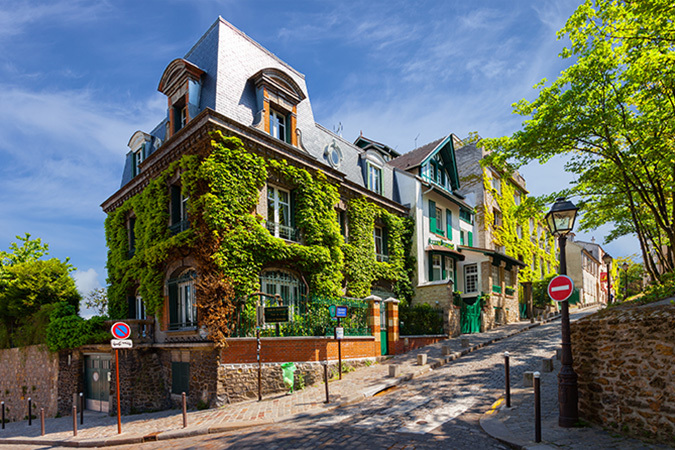 During the 19th century, Paris was also the home and subject for some of France’s greatest writers. These included Charles Baudelaire, Stéphane Mallarmé, Mérimée, Alfred de Musset, Marcel Proust, Émile Zola, Alexandre Dumas, Gustave Flaubert, Guy de Maupassant and Honoré de Balzac. Victor Hugo wrote to his greatest works about the city (The Hunchback of Notre Dame, Les Misérables). 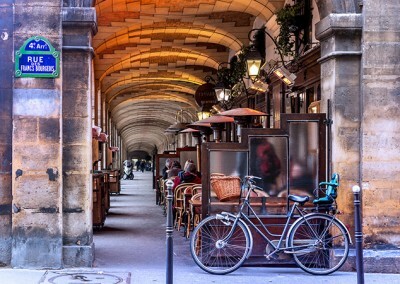 Paris is a city of books and bookstores. In the 1970s, 80% of French-language publishing came through Paris. 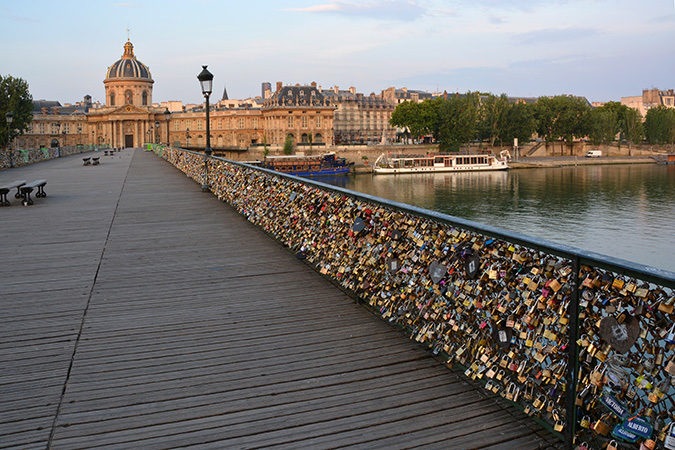 There are about 150 bookstores in the city, plus another 250 book stalls along the Seine. 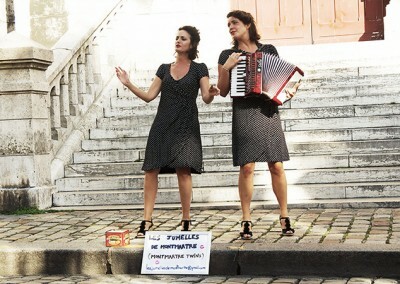 Paris is the spiritual home of gypsy jazz music. It also has a big hip hop scene. This music became popular during the 1980s, due to the presence of a large African and Caribbean community that has helped to cultivate a political and social voice for many minorities. 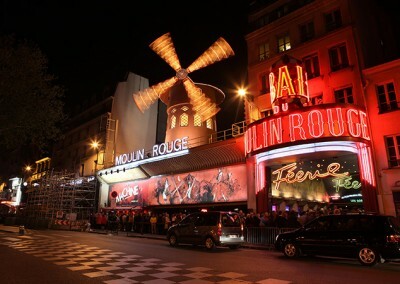 The movie industry was born in Paris. Auguste and Louis Lumière projected the first motion picture for a paying audience at the Grand Café (1895). 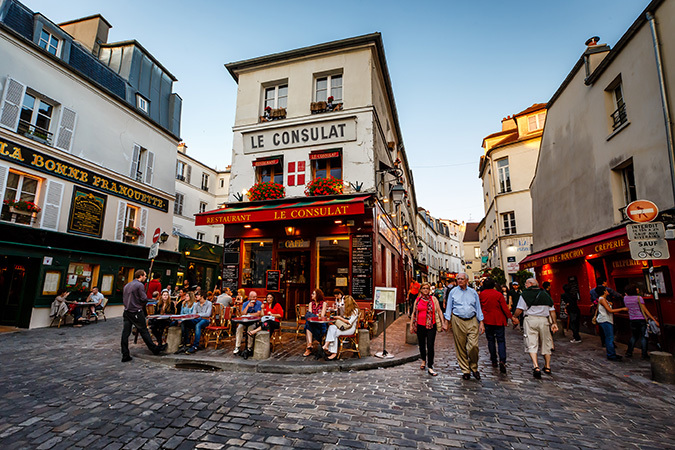 Since the late 18th century, the city has been famous for its restaurants and haute cuisine (food meticulously prepared and artfully presented). The first two luxury restaurants were Le Grand Véfour in the Palais-Royal and La Taverne Anglaise (1786). 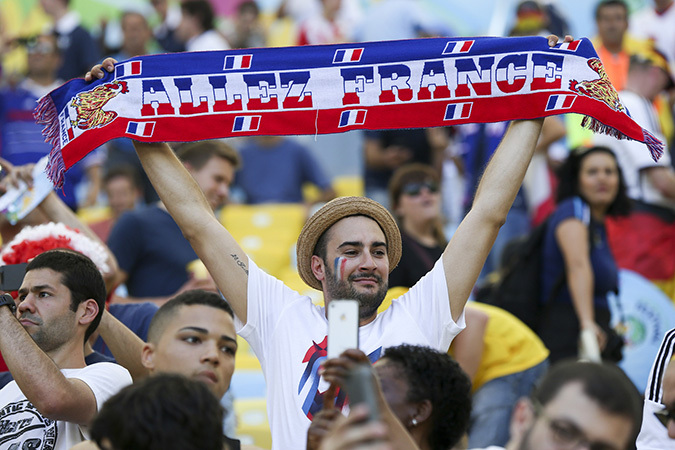 Association football and rugby are the most popular sports in Paris and across the nation, dominated by Paris Saint-Germain F.C. and Stade Français respectively. 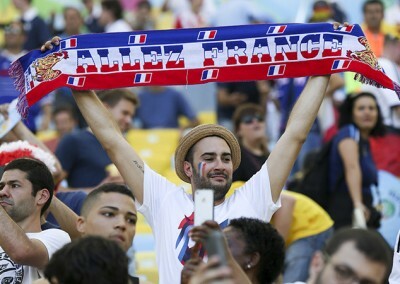 The 80,000-seat Stade de France is located just north of Paris and was built for the 1998 FIFA World Cup. The city played host to the 1900 and 1924 Olympic Games (and was a candidate city for the Olympics in 1992, 2008, and 2012). Tennis is secondarily popular sport, with the French Open held every year at the Roland Garros National Tennis Centre. It is one of four Grand Slam events on the world professional tennis tour. The final stage of the most famous bicycle racing in the world, Tour de France, always finishes in Paris. 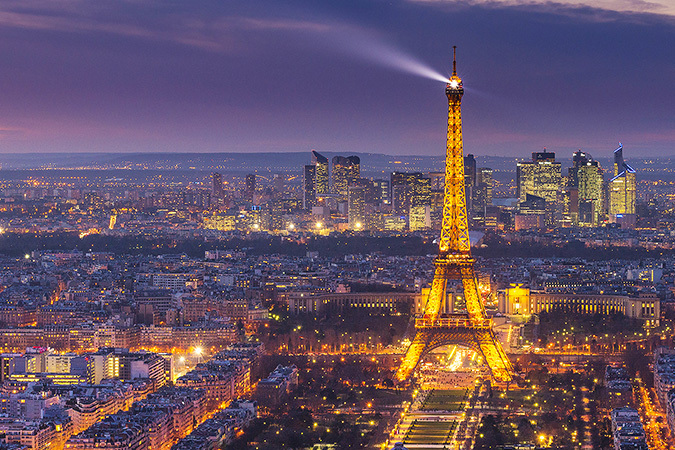 Paris is a major international air transportation hub, with the 4th busiest airport system in the world. 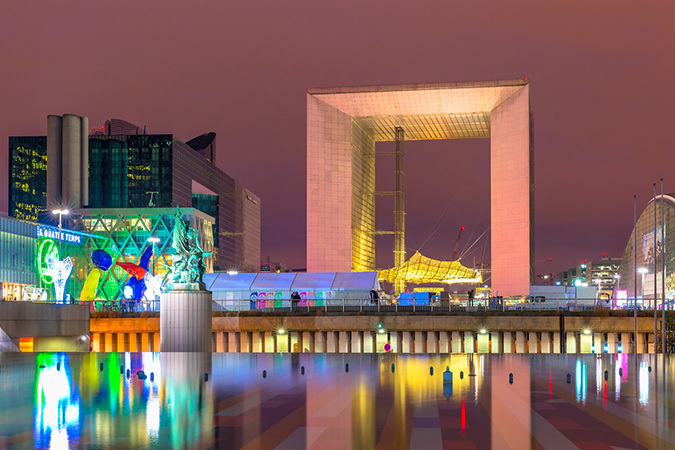 The city is served by three commercial international airports: Paris-Charles de Gaulle, Paris-Orly, and Beauvais-Tillé. Together, they serve 96.5 million passengers annually (2014). Domestic air travel has largely been replaced by high-speed rail due to the opening of several high-speed TGV rail lines from the 1980s. 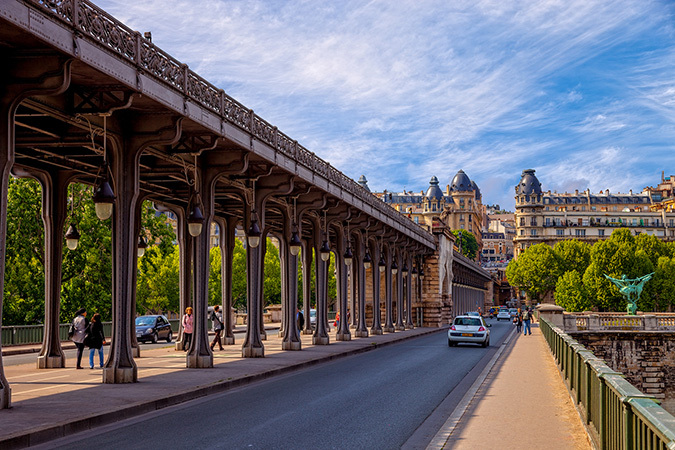 A central hub of the national rail network, Paris’ features six major railway stations: Gare du Nord, Gare de l’Est, Gare de Lyon, Gare d’Austerlitz, Gare Montparnasse, Gare Saint-Lazare). In addition, the Paris region is served by a light rail network of nine lines. 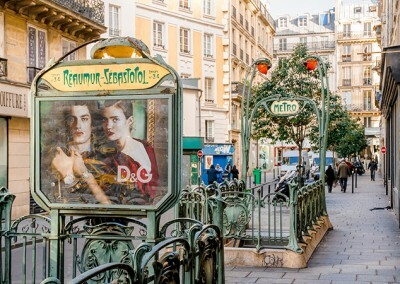 Since the inauguration of its first line in 1900, Paris’ Métro subway network has grown into the city’s most widely used local transport system. It serves about 5.23 million passengers daily through 16 lines, 303 stations, and 220 km (136.7 mi) of rail. Over €26.5 billion is scheduled to be invested over the next 15 years to extend the Métro network into her suburbs. The city is also the most important hub of France’s motorway network. There are three orbital freeways: the Périphérique, the A86, the Francilienne motorway. 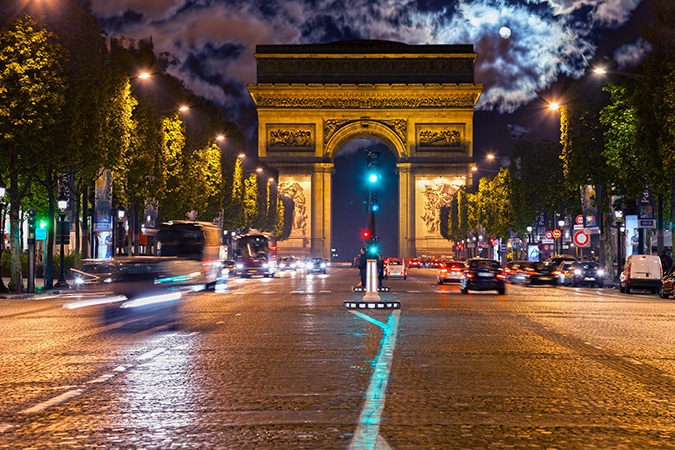 Paris’ road network covers over 2,000 km (1,243 mi). There is also 440 km (270 mi) of cycle routes in Paris. The Paris region is the most active water transport area in the country. 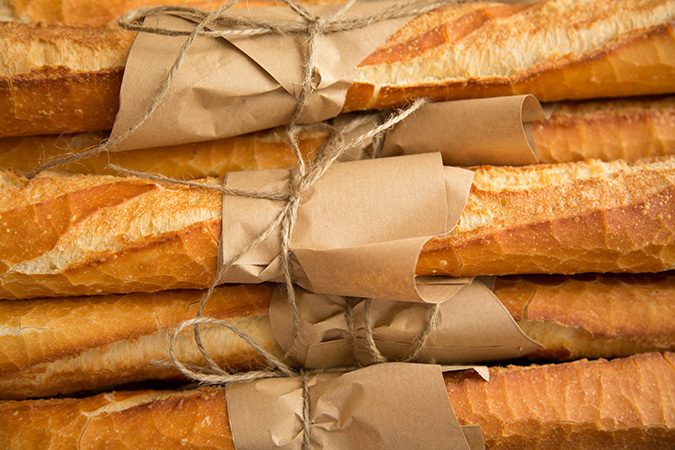 Most of the cargo is handled by Ports of Paris. 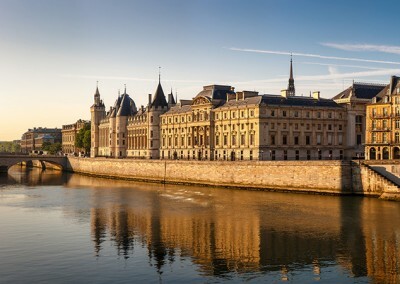 Canals connect the Loire, Rhine, Rhone, Meuse, and Scheldt rivers with the Seine.